NYJTL is committed to providing donors and volunteers unique participation opportunities through a variety of events throughout the year. Attend an event, contribute to a fund and make a difference in the life of a child. 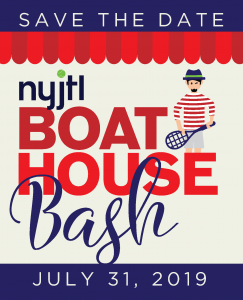 The NYJTL Boathouse Bash (formerly known as the Summer Gala) will be held on Wednesday evening, July 31, 2019 at the iconic Loeb Boathouse in Central Park. The annual event is a fun and festive evening complete with music, dancing, gondola rides, magicians, and a silent auction. This event typically attracts upwards of 500 attendees from the New York City community, raising funds to support NYJTL programs that make a difference in the lives of children across all five boroughs. To learn more, click here. 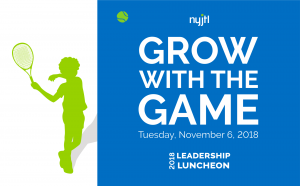 For over 30 years, 100% of the proceeds from NYJTL’s Leadership Luncheon have directly supported our free tennis and education programs thanks to the Benenson family, who generously underwrites all expenses for this major annual fundraiser. This year’s Leadership Luncheon was held at The Pierre on Tuesday, November 6, 2018. Katrina M. Adams, Chairman and President of the Board of the United States Tennis Association (USTA), and Michael Cayre, President of Midtown Equities, served as honorees. Click here to view this year’s photos. 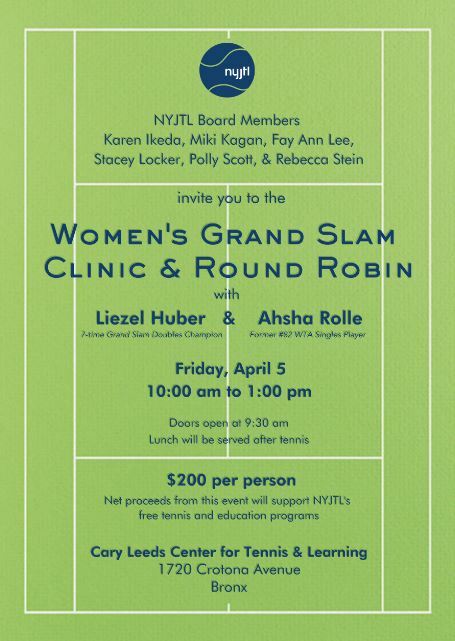 Come join us for a fun morning of tennis on Friday, April 5 at our annual Women’s Grand Slam Clinic and Round Robin featuring Liezel Huber and Ahsha Rolle! Enjoy two hours of round robin tennis and drills followed by lunch with wine and mimosas. Awards will be given to the top two finishers in the round robin. Liezel Huber, Executive Director of Tennis at the Cary Leeds Center, is a former world #1 doubles player who won seven Grand Slam Doubles titles. Ahsha Rolle, Adult Programs Director at the Cary Leeds Center, is a former # 82 WTA singles player and played for the US Fed Cup team. CLICK HERE to view event details and purchase tickets. 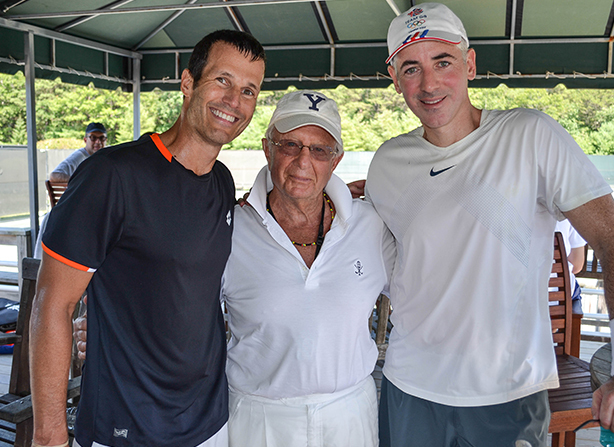 Doubles by the Dunes is an afternoon of “serious tennis, and serious fun” co-chaired by NYJTL Board members Kyle Kliegerman, Robert Rahr, and Matthew Snyder. With lunch, drinks, and a Calcutta auction, this event attracts many of the city’s elite tennis players and businessmen for a fun afternoon benefitting NYJTL programs and the children of New York City. 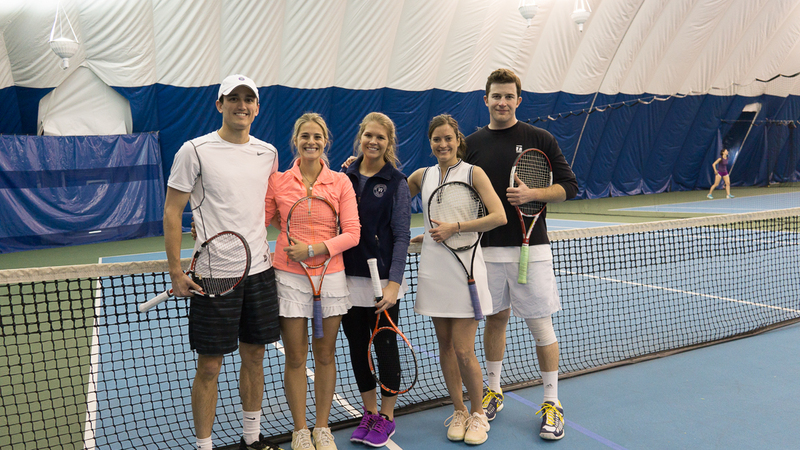 Last year’s event took place on Saturday, August 25, 2018 at East Hampton Indoor Tennis and was sponsored by the Hospital for Special Surgery. The mission of NYJTL Next is to develop the next generation of leaders through volunteer and service opportunities. Currently, there are more than 200 people in the NYJTL Next network. From joining an event planning committee to volunteering as an after-school mentor, there are many opportunities to help and to contribute. For more information about our events, contact us at gmullis@nyjtl.org.